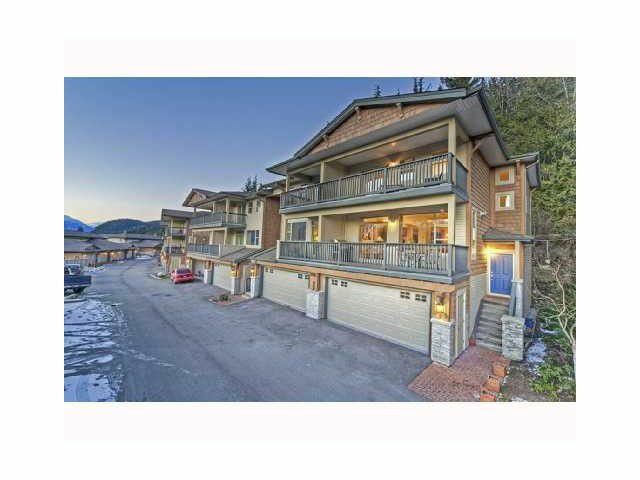 Beautiful townhome perched at the top of the Garibaldi Highlands overlooking Howe Sound and surrounding mountains. A picturesque view from every window with tons of bright, natural light! Pleanty of space with the open plan living area onthe main floor-the central kitchen is equipped with granite counters, breakfast bar island, and a large dining area with enough space to entertain family and friends. Cozy up in the living room with the natural gas fireplace, access to the balcony, and enjoy the magnificent views of Howe Sound. Upstairs you will find 3 large bedrooms with a second balcony in the master suite. Media room or office space and a double car garage are downstairs allowing for plenty of storage.